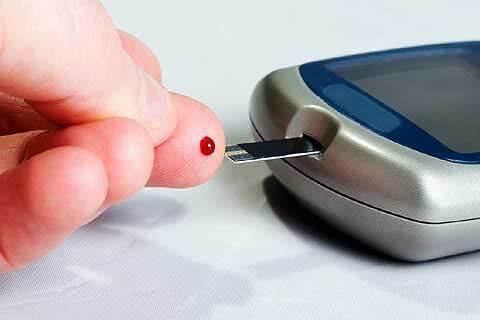 Diabetes mellitus is a condition in which there is unusual rise in glucose in level in our blood stream. It happens because of a disturbance in glucose metabolism machinery in the body. 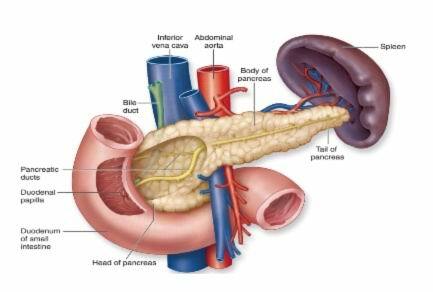 Beta cells of pancreas are responsible in production of a protein known as insulin. Insulin is esponsible for glucose metabolism in body. Insulin casks out the excess of glucose in the body and converts it into the glycogen and then stores in the body. Due to any discrepancy in functioning of the pancreas insulin is not sufficiently produced hence causing difficulty in metabolism of glucose leading to pouring of excess of glucose in the blood causing diabetes. * The major cause of diabetes now days are the nutritional efficiency. * Consumption of diet rich in carbohydrates may also relates to in casual factor for diabetes mellitus. * Stress and mental trauma is another factor that leads to diabetes. * Decreased physical activities and lack of physical exercise may also cause diabetes. * Diabetes is said to be running in families thus can be considered as a hereditary factor. 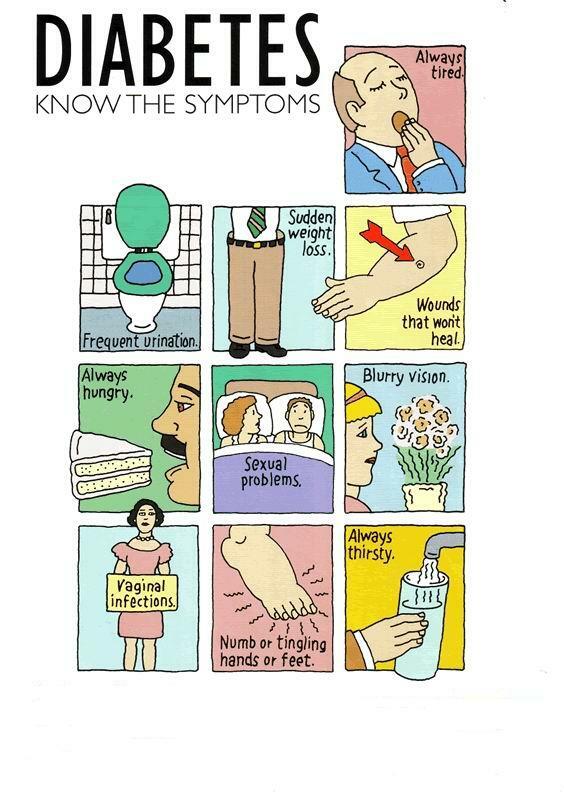 * Certain disease of pancreas may also lead to causing diabetes mellitus. * An increased weight and obesity condition also interferes in the bodily activities thus causing diabetes mellitus. * Diabetes can be controlled by consuming fenugreek seeds. It is soaked in about a glass full of water and left overnight. Now these seeds are crushed and sieved from a fine cloth. Now this mixture is being drunk to se the wonderful result in 2 months. * It is well known that having fish oil caplets is good when you have diabetes. Take one caplet when you wake in the morning and 1 12 hours later or when you go to bed. * Half cup juice of karela (bitter gourd) is very effective in treating diabetes. * When you have diabetes, any type of diabetes make sure you add 1 teaspoon of cinnamon in your daily diet. * Grape juice is very helpful in controlling diabetes. * Remove the seeds from 1 Bitter Gourd and blend it till it is a liquid. Drink this each morning before you have your breakfast. * Mango tree leaves boiled in water and the juice is taken helps in curing diabetes. * Consuming leaves of neem and bilva in mornings and evening is very effective in regulating sugar level un blood. * Eating upto 3 grapefruits a day has also been helpful. * Indian blackberry seeds or Jamun seed powder (scientific name of Jamun is Eugenia jambolana or Syzygium cumini L and) is very good for diabetes. Take 1/4th teaspoon with 1 teasoon honey for 50 days. * For making chapatti use dough made from flour by mixing of wheat, barley and gram is useful in preventing diabetic condition. * Morning and evening walk is very important in diabetic condition. * Garlic, ginger and onions are best options in curing diabetes. * Pinch of pure turmeric powders mixed in amla juice (Indian goose berry) and eat daily in empty stomach. * Soya bean that is rich in proteins and minerals like calcium, iron and vitamin like retinol (vitamin A) is quite effective in treating diabetes.